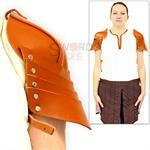 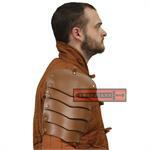 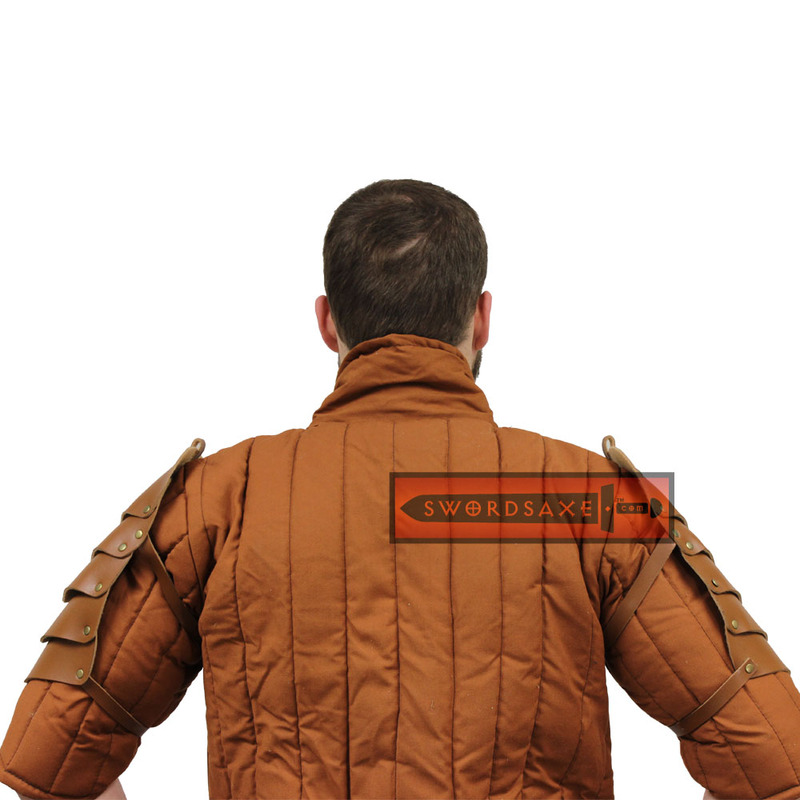 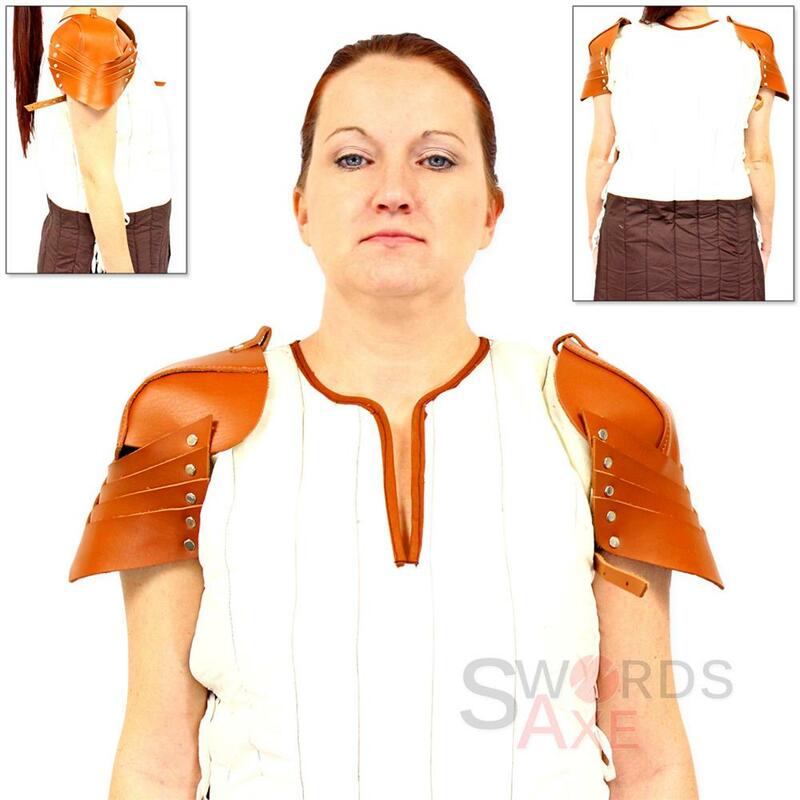 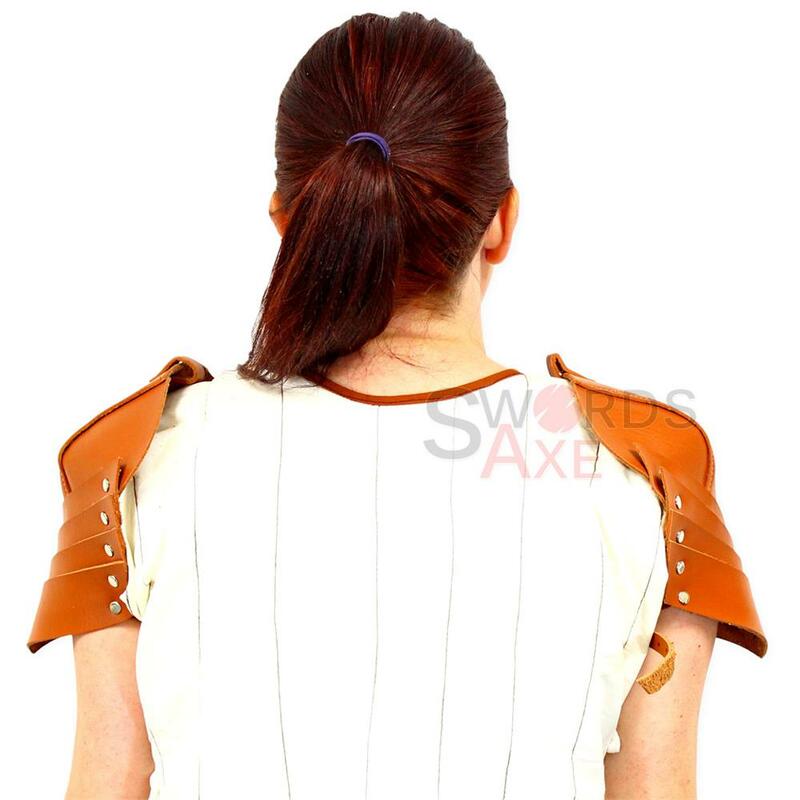 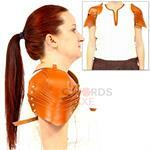 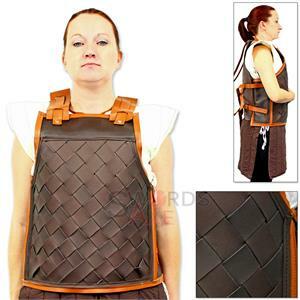 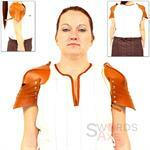 Protection for the shoulders on each side, made of genuine synthetic leather hide. Warriors of the medieval times wore this sort of armor, especially if traveling. 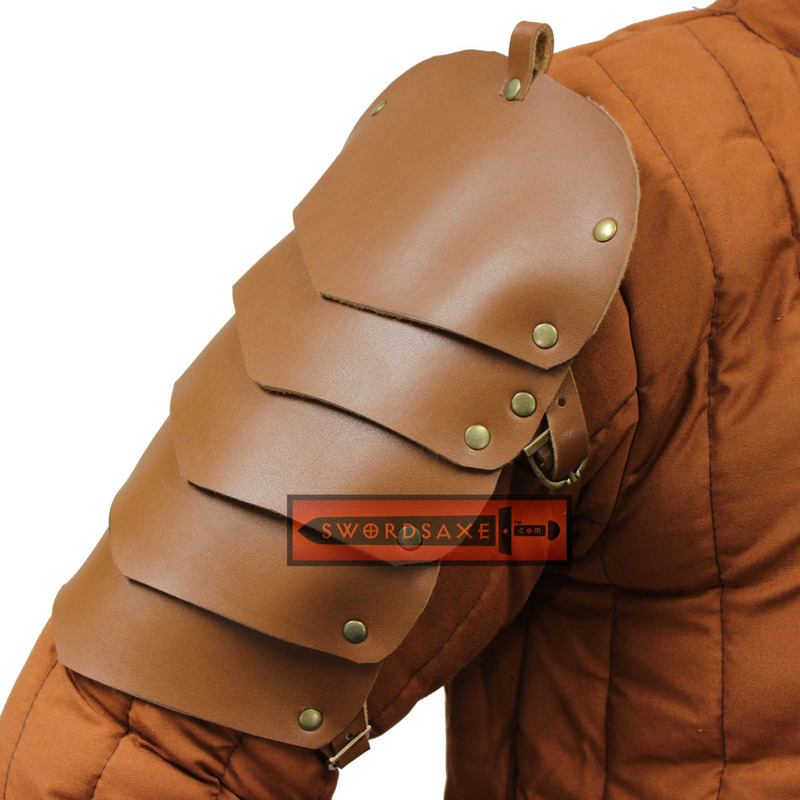 A loop at the top of each spaulder allows you to hang it from a gorget or harness, while a leather strap with buckle allows you to adjust the fitment to your arm size. 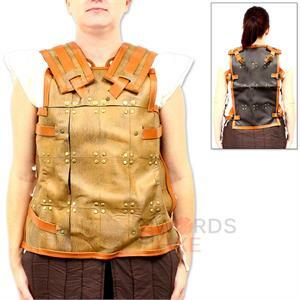 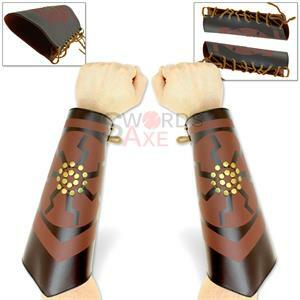 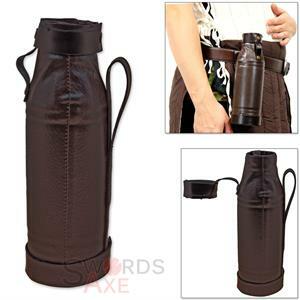 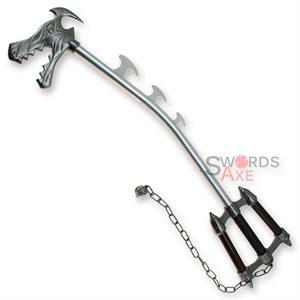 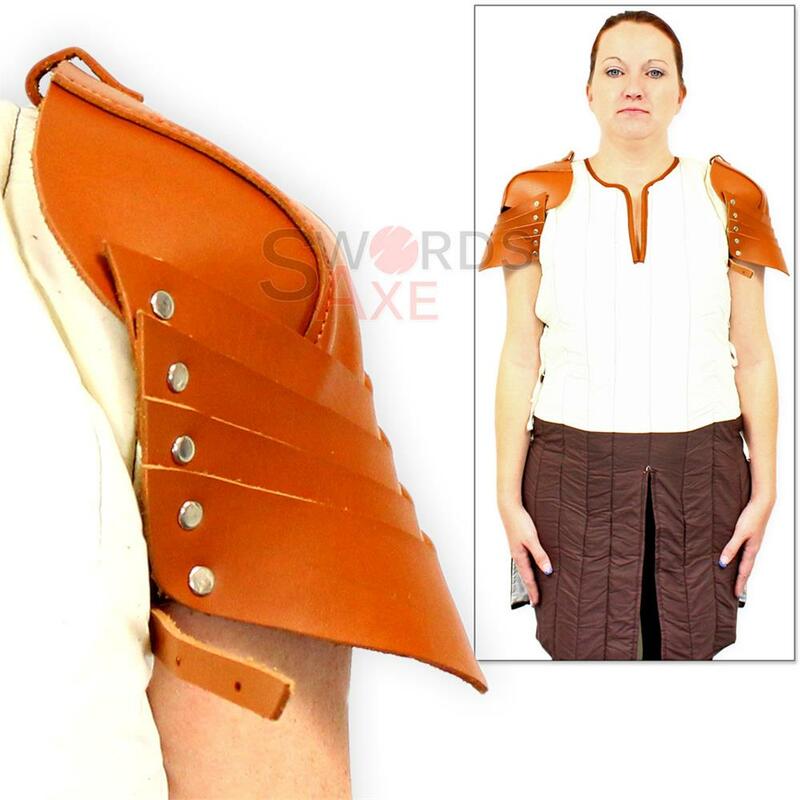 These are great for LARP and costume, and only weigh 3 ounces each. 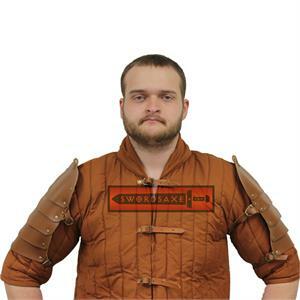 As always with handmade products, each piece may vary slightly in color, shape, size, or style when comparing any two directly.